Dr. Villarreal is a native of Illinois and completed his undergraduate degree at the University of Illinois. He graduated from the University of Illinois College of Medicine in Chicago in 1991. 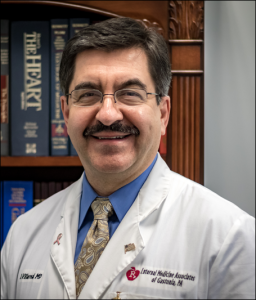 Dr. Villarreal completed one year of internship in General Surgery followed by three years of residency in Internal Medicine at the University of Illinois Hospital and the West Side Veterans Hospital in Chicago. He then served as Chief Resident at the University of Illinois prior to his work as an attending physician at the West Side Veterans Administration Hospital in Chicago. Soon after moving to Gastonia, Dr. Villarreal founded Internal Medicine Associates of Gastonia in 2001. He is a Fellow of the American College of Physicians and is a member of the American Academy of Anti-Aging Medicine. He and his staff have served the Gaston community for over 15 years dedicating themselves to health maintenance and prevention. Dr. Villarreal has been named Gaston’s Best Internal Medicine Physician for the last five consecutive years by the Gaston Gazette. 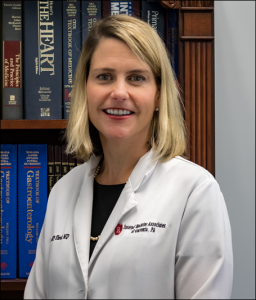 Dr. Kelly Shedd is a native of Lexington, KY and received her undergraduate degree from Vanderbilt University. In 1997, she graduated medical school from the University of Kentucky. After medical school, she completed her internship and residency in Internal Medicine and Pediatrics at the University of Florida. She worked in Colorado, Florida and Kentucky before settling in Gastonia with her family of 3 children and husband Dr. Omer Shedd. Since 2013, she has been working with Dr. Villarreal and Dr. Crosby at Internal Medicine Associates. 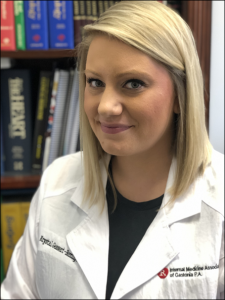 Krystal Gessert-Herring is a family nurse practitioner, board certified by the American Association of Nurse Practitioners and currently licensed to practice in the state of North Carolina. She completed her Bachelor of Science in Nursing at Winston Salem State University and then earned her Master of Science degree at the University of South Alabama. In her professional practice, Krystal is committed in providing care that is patient centered, safe, and evidence based. Krystal believes in establishing relationships with patients and working collaboratively with each individual to develop a plan to achieve their best possible state of wellness. In her leisure time, she enjoys time outdoors, traveling, and spending time with her husband and their two young children. She is accepting new patients.